The latest update for Angry Birds Rio for the month of June is going to start rolling in the upcoming days. Rovio has confirmed that they will be launching the new update very soon for both iOS and the Android platforms at the same time. The new update will take the birds to the Rio carnival in the new episode called Carnival Upheaval. 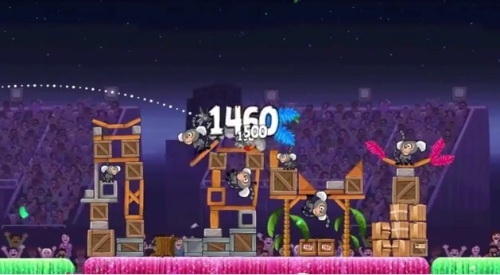 There will be 15 new levels, and Blu can now be used alone and is not tied to Jewel anymore. The bonus trophy fruit for this episode is Papaya. Keep checking for updates as the release date hasn’t been confirmed yet, but it should be out anytime soon. Check out the video for a quick preview of the new episode.